Junie Browning's head bears the scars from a recent fight. This whole Junie Browning story is starting to become more bizarre than a hollywood movie script. The former UFC fighter was involved in a massive brawl in Phuket and hospitalized. He went on the lam in fear of his life and the Phuket Police are said to be on the hunt for him. He will not meet with them as he believes them to be corrupt. All we need is Jason Bourne and we have ourselves a box office smash. Here is what Browning recently wrote in an e-mail to the Phuket Gazette. I am writing this in regards to the events that happened this past Sunday night [December 11] in Karon and in the Patong Hospital following. I am aware of previous allegations in my past that may lead people to believe that the way the event is being portrayed in the media is true. I came to Thailand to train jn MMA and rebuild my reputation and career as a professional athlete. My current physical condition and the reputation that is being built by corrupt media is fatal to my career. I was in fact the victim in this case and it is important I am able to tell my side of the story and provide you with pictures and evidence to support it. There was an attempt to end my life and I am begging for help from the US Embassy. My girlfriend and I have had our lives repeatedly threatened in the hours and days following the event. Sunday night, we arrived at a small bar in Karon with two other females, one of whom was friends with the owner. It happened to be the birthday of the bar owner, Simon Wilson Menzies, so he was surrounded by a group of 12-15 of his closest friends who had been drinking in celebration previous to our arrival. My girlfriend and I had a few drinks, and seeing we didn’t know anyone, had decided to leave to go home. We had contacted a cab and he was on his way to meet us. He would call when he arrived. A discussion via text message with one of the girls I had arrived with, resulted in MJ Castro and Simon Menzies confronting me in the street, MJ screaming and swinging her hands in front of my face. I do not know why she was mad. Nothing that I had said involved her or her friends whatsoever. I assumed she was mad that we were leaving the party because we were on our way out to meet our cab. Without any notice I found myself in a physical altercation with Simon in the street. I could tell from the moment he stepped in front of me, he was looking for a fight. At this point, it just involved me and Simon, my girlfriend was standing next to us. In only a few seconds, my girlfriend was thrown across the street and I had been hit from behind in the back of the head by a glass beer bottle. All of my attackers remained standing in the bar unharmed. I was going in and out of consciousness, which I am assuming was from my head trauma, while the ambulance arrived and I was transported to the hospital. My girlfriend accompanied me in the emergency vehicle drenched in by blood and witnessed the paramedics revive me by CPR twice. The man that originally attacked me, Simon Wilson Menzies, we later discovered had been arrested on a plane from Australia in April 2011, after being refused alcohol. The following article taken from ntnews.com.au explains those events and will allow you to take into consideration his character. (click here). Once I arrived at the hospital, I was rolled into a large open room and my girlfriend was put in a wheelchair and checked for wounds. They thought she had been cut as well because of the amount of blood that covered her body. They showered her and threw her clothes in the trash. When she was allowed to see me, she informed me that she had been kicked but was not injured and told me what she had experienced in the last moments of the fight and on the ambulance. She said she feared they had killed me and that I was lucky to be alive. 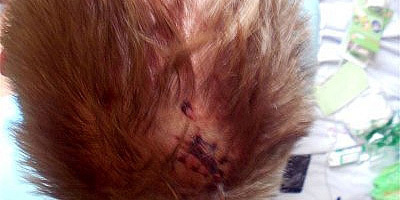 They began to assess my wounds and stitch up the three large gashes on my head. Without any consideration to my safety or the events that had just occurred, they placed both Menzies accompanied by MJ Castro, and the man who had attacked me with a mug, in the beds right beside me. Needless to say, I became furious and again words were exchanged. As it escalated a second time into a physical fight, MJ attempted to intervene and was struck in the rumble. Security and Patong Police arrived and restrained all parties. I was taken into the waiting lobby on a stretcher in handcuffs in front of numerous people to finish giving me medical attention. At no point was I rude or uncooperative with either the medical staff or the police. Taken into consideration the severity of my wounds and my demeanor and my girlfriend’s statement, the police officer removed my handcuffs. We were told by the officer that we should stay the night in the hospital to have my head monitored and would be able to go home with no charges the next morning. It was obvious to him that I was the victim. The hospital staff was extremely kind, giving both my girlfriend and I clean clothes and beds to sleep on. I was hooked up to an IV and had arranged with friends to be picked up at 10am the next morning, after my wounds were reassessed. My intentions were to file a police report in the morning and deal with this in a civil manner. Hours later, my phone began to ring with numerous reliable sources stating that we were not safe and we needed to leave now! They said that local Thais and mafia had a price on my head and were headed to the hospital and both my girlfriend’s and my life were at risk. We were told to trust or talk to no one and to just leave. We are aware that the mafia is a real thing and took this very seriously. We panicked and decided that our best option was to escape in the middle of the night and hope we could make it home. Our first thought was to get a hold of the police for protection, but were told that it was corrupt and that they would be of no assistance. My girlfriend pulled out my IV and jumped a fence to find a taxi to come pick me up. When one arrived I jumped in and we headed home to pack. Two friends came banging on the door, which we didn’t answer for fear of who it might be. They continued to bang on the windows until we realized who it was. We do not want to mention their names to protect them from being associated with the situation and any harm that may come to them. They said there was no time; that I needed to hide. They even mentioned that if my girlfriend was found, they would kill or harm her in an attempt to find me. Being US citizens in a foreign country we were terrified and had to act quickly. With these threats in mind we made a plan. I went to hide while my girlfriend stayed behind to pack and arrange travel out of the city. Keep in mind, we left behind a house we have rented through May, a dog we left in a friend’s care, and numerous personal belongings. Approximately one hour later I was picked up by taxi and we headed out of Phuket. Four hours later we arrived in Krabi to stay the night in a hotel and figure out what to do. The next day I received two separate phone calls from MJ Castro (which I was informed is not her real name) and Simon Menzies saying that we needed to pay several hundred thousand baht or they would continue to hunt us. In addition, Facebook messages and phone calls flooded in from friends and acquaintances telling us we were in big trouble and needed to get back to the US quickly and, again, to speak to no one. They instructed us to attempt to cross the Malaysian border and get on the first flight home. At this point we packed again and boarded a mini van to Hatyai. We booked a hotel and paid for two tickets on the 9am bus to Kuala Lumpur, still unsure of what we should do. While in Hatyai, we contacted the US Embassy, still afraid to tell anyone of our location. We did not want to flee the situation, but needed to confide in people we could trust. We were told not to use our phones or internet to avoid any chance of the wrong people discovering our location. I was contacted by a friend from the United States who had previously lived in Bangkok and was able to arrange transport from friends of his with protection to the US Embassy. To this point I have been unable to seek the medical attention that I desperately need. My vision in my right eye is impaired, I am in severe pain, I am going through fainting and dizzy spells, and have severe head trauma. We had to use the internet to try to figure out how to deal with it on our own. My girlfriend has been dressing my wounds and at night sets an alarm every two hours to wake me up. She asks me simple questions and checks my eyes to make sure I am coherent and stable. All we are asking for is help from people we can trust which brings us here now. We are victims of a viscous assault and attempt on our lives. We are seeking the assistance of the US Embassy and I want to clear my name of the wrong-doing I was accused of. The story can get even stranger if in fact the US Embassy does get involved. And with Browning as the main character, no one can doubt that it will indeed get more strange soon.